The Tarot T4-3D 3 axis, self stabilized gimbal is a professional camera mount for aerial videographers and photographers who want quality and performance. 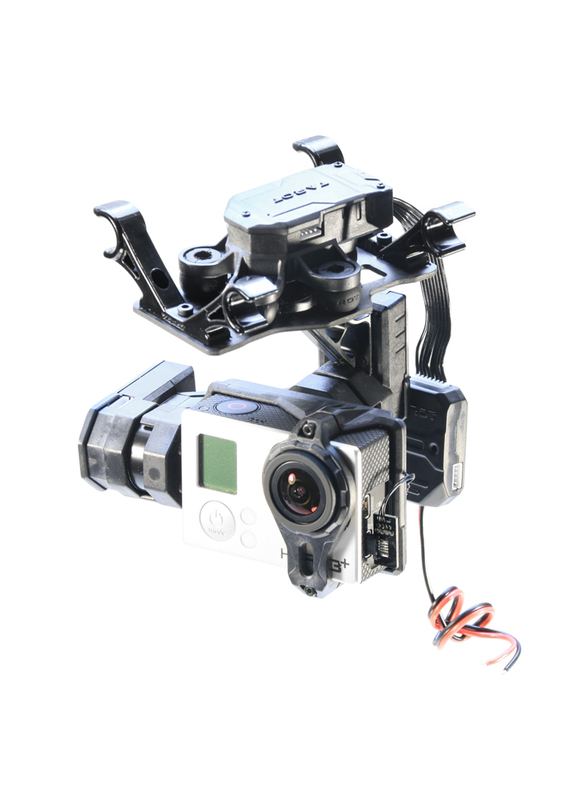 It has a lightweight, durable aluminium, carbon fiber and plastic structure that will provide outstanding stablility and control for any aerial camera operations even in severe environments. The Tarot T4-3D gimbal is designed for GOPRO HERO3 / HERO4 and similar cameras and can be used with multi-copters, fixed wing airplanes and heli-copters. It is equipped with an independent IMU module and has a "point follow" mode (PF) and a first person view (FPV) mode. The innovative design allows complete control over the camera. Joystick movement speed is correspondingly linked to camera axis speed, so the faster you move the joystick the faster the axis will move. All the power and signal wires are embedded in the structure and the firmware is upgradable through the PC interface. Will this gimbal connect directly to the ZYX-M controller? Hi Krashem, yes, it's designed to work with the ZYX-M, although it can also work independently too. Please see the manual for more info.